Amid their grief, Orlando residents are pulling together in response to the deadliest mass shooting in U.S. history, according to agency executives who work in the city. (Image via the Orlando City facebook page). ORLANDO, FL: PR pros in Orlando, Florida, where the deadliest mass shooting in U.S. history left 49 dead and 53 wounded early Sunday morning, described the city’s community coming together in the wake of the tragedy. "I’ve lived here for 30 years through all the hurricanes, and what makes this feel so similar is that all hands are on deck," said Jennifer Bisbee, president of Bisbee and Company. "The entire community is coming out to help." Bisbee added that she offered her services to the city of Orlando pro bono on Sunday. Its public information officer and the mayor’s chief of staff responded that they would reach out to her if needed. Everyone in the city has been affected by the shooting, Bisbee added. On social media, some acquaintances said they personally knew victims. Friends told her they’re having difficulty concentrating at work, while others say work is a relief. 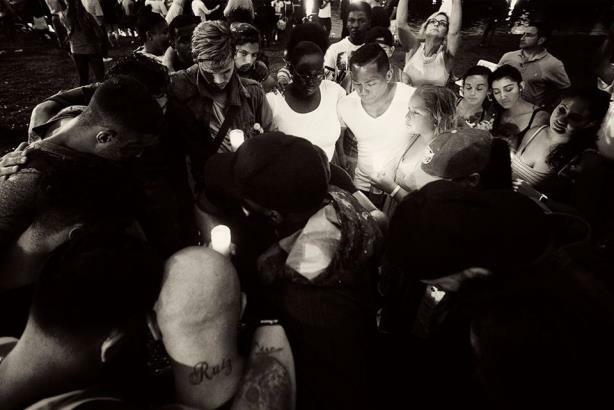 The general attitude in the community is a stubborn solidarity, with Orlando residents defying calls to discontinue vigils, despite the potential strain they may place on the city’s resources. People also gathered on Sunday in public places to mourn across the nation, even in towns as far-flung as Newtown, Connecticut, where 27 people – the majority of them children – died in a 2012 mass shooting at an elementary school. Some of Bisbee’s clients reached out to make sure she was OK.
"The outpouring of support from beyond central Florida has been very comforting," she said. In terms of her own work related to the attack, Bisbee started working on Sunday, scanning headlines and watching social media feeds to make sure clients were reacting appropriately, especially if they work with the LGBT community. She also began monitoring news coverage to help clients determine when to make announcements. "PR plays an important role in guiding our clients, friends, and colleagues to take appropriate steps," Bisbee said. In the less than two days since the shooting, the city of Orlando has issued press releases and updated the public on road closures, detours, and media staging areas. It has also released the names of the deceased – 46 as of press time – whose next of kin have been informed. The city also reduced the death toll to 49 from 50 on Monday. Orlando Mayor Buddy Dyer has communicated via his blog, publishing a post on Monday encouraging residents to treat each other well in the wake of the tragedy. The first step Axia Public Relations took after the shooting was to check in on its employees and clients, said CEO Jason Mudd. None of his staffers or clients have been directly affected by the shooting. The agency’s Orlando office is fewer than two miles away from where the shooting took place, a gay nightclub called Pulse. The shooter, identified as Omar Mateen, called 911 and reportedly pledged allegiance to the Islamic State during the attack, according to various media reports. "Everybody’s concerned at the end of the day, thinking of the people that were there, who were involved, and their immediate family members," Mudd said. "It’s a heartbreaking situation. We are getting involved with other people in the community for blood drives, looking for ways to give back." Mudd added via email that the shooting highlights the importance of organizations having a crisis plan in place. "It's a reminder to clients that a crisis will happen. It's only a matter of time. It's not a matter of ‘if,’ but ‘when.’ And that's why we prepare," he said. "Since most of our clients are national corporations, often with multiple locations, we're looking at the situation through a larger lens and discussing crisis communications with operations and security." The attack has also become a key topic in the 2016 presidential race, with the responses of former Secretary of State Hillary Clinton and businessman Donald Trump being highly scrutinized. Trump’s initial response on Twitter has been criticized for its self-congratulatory nature. Lauren Leetun, president of the PRSA’s Orlando chapter, commented via email that the Orlando community "dropped everything to help others," saying she was certain stories of the PR community’s own "service and love" will soon surface. "I know one of the trauma surgeons who was on call on Saturday night and Sunday morning," Leetun wrote. "I know someone who is a grief counselor who was on site helping the families of the deceased and missing process the news. I know another person who is tracking down donated space near downtown Orlando after recruiting a number of acupuncturists to come to Orlando to offer their free services to people who are grieving. And I know a videography team that is donating its services to families that would like to compile video memorials for the victims. There are good people doing good things here."